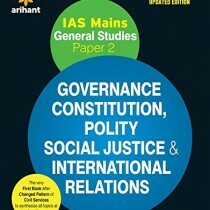 A compendium of over 14000 questions which will significantly improve the knowledge of aspiring students by providing them with ready and reliable practice material for General Studies has been designed by Arihant for students preparing for IAS (CSAT), State PCS, CDS, NDA ; other competitive exams. 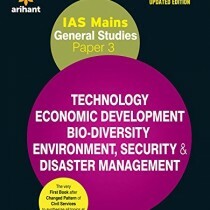 The revised edition of this exhaustive book focuses on Indian History ; Culture, India ; World Geography (Env ; Eco), Indian Polity, Indian Economy, General Science, Science ; Technology, General Knowledge and Current Affairs. 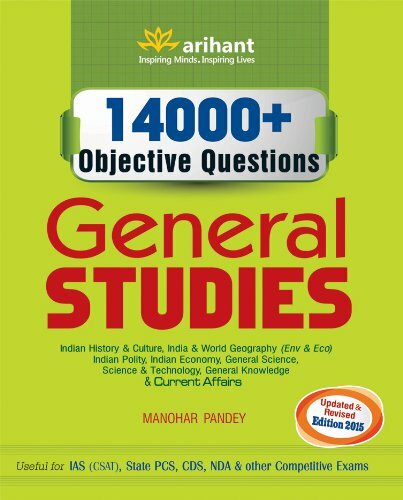 The book contains the collection of over 14000 questions covering General Studies. Answers to the questions have been given side by side to help students evaluate themselves after attempting a certain number of questions. Also questions asked in 2013 ; 2014 competitive examinations have been provided in the book with authentic and detailed solutions. Each chapter in the book contains a variety of questions according to the latest pattern like Assertion-Reason, Matching, Multi-Statements, Arrangements, Pairing, etc. Also more than 500 questions based on Current Affairs have been provided in the book to give an additional advantage to the aspirants. 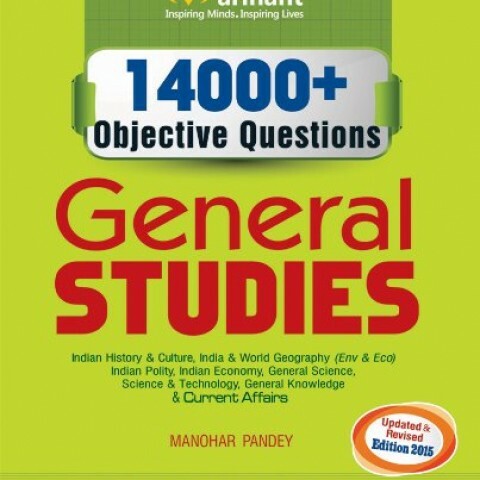 As the book contains large number of objective questions which have been designed for students of various competitive examinations, it for sure will act as the best preparation material for general studies.